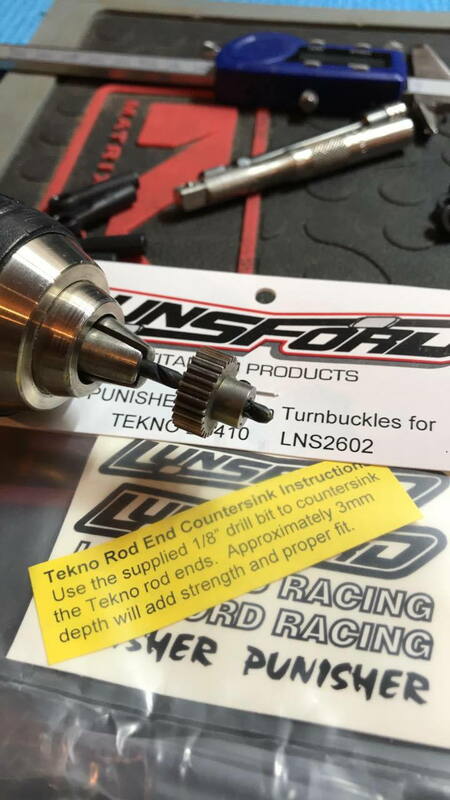 This is a good tip I saw on the FB page for those using lunsford turnbuckles with the included drill bit. Use a pinion gear as a "depth gauge" so you don't drill too far in. (like me hehe). Good thing I bought extra rod ends Here is the pic that was shared to show it. Good to see you had a positive time out on track Cain!